Several ships sailed their maiden voyages earlier this year, including the largest new players: Carnival Cruise Line’s Carnival Horizon and Royal Caribbean International’s Symphony of the Seas. Winter is coming, and it is bringing a wave of new—and larger—cruise ships, which should mean more guest bookings and more business for your tour company. Right? Sure, practice zip-lining across the top deck, and then come experience the thrill of sailing through our lush, tropical rainforest canopy. Race our ATVs up and down white, sandy beaches and rugged mountain trails. You could learn to prepare Jamaican escovitch red snapper in an onboard test kitchen, but wouldn’t you rather taste the freshest catch, caught that morning and prepared by Jamaican chefs? Pair it with Jamaican rum, as you dine on the verandah of a historic Great House. More than two dozen ships are currently under construction or in the planning stages for the next two years, but these vessels start arriving soon. 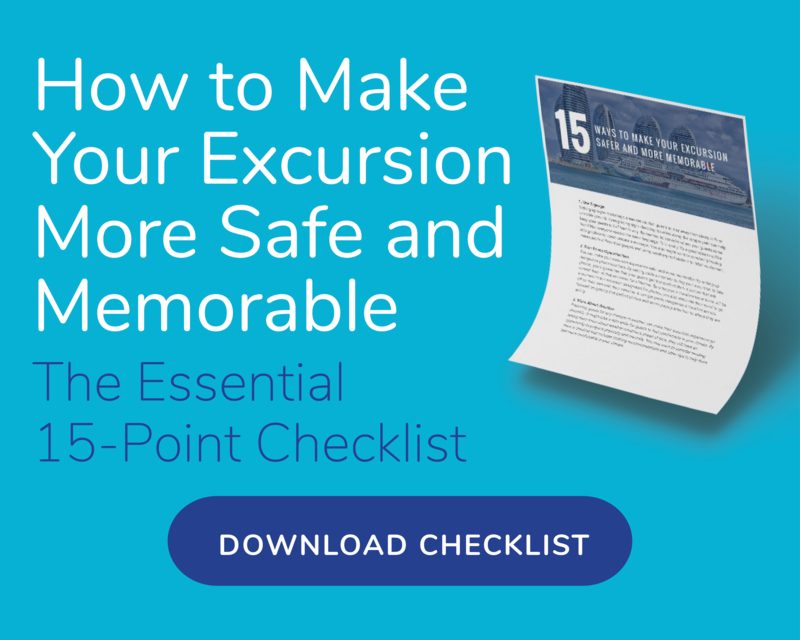 Is your tour business prepared? This French boutique and expedition-focused cruise line this month debuts its second ship this year—the 180-guest Le Champlain. For upscale travelers who enjoy more privacy and exclusivity, this ship, as well as sister vessel Le Laperouse, which sailed her maiden voyage in June, offers yacht-like amenities, including an underwater Blue Eye Lounge with cameras and microphones so guests can see and hear marine life, as well as access to marine equipment and a landing pad. The hull is fortified for ice cruising and will offer round-the-world itineraries, and offer stopovers in off-the-beaten-path ports of call that are usually inaccessible to larger ships. Itineraries include stops in remote destinations to the Arctic, Asia, Africa, Australia, New Zealand, the Mediterranean and Central and South America. Bonus: Two more expedition ships will debut in early 2019. Launching in December 2018, this 2,666-passenger ship boasts more than 100 options to keep guests entertained and occupied while onboard, including: BBC’s Earth Experience Theater, Rolling Stone Rock Room stage, gourmet cooking classes in America’s Test Kitchen and wine-blending and sampling courses curated by Chateau Ste. Michelle. Fun fact: Oprah Winfrey is the ship’s godmother! The ship will be based in Fort Lauderdale’s Port Everglades for the winter season, offering 3- to 10-day voyages in the Western and Eastern Caribbean – a much-welcomed economic boost for island tour operators. This 2,918-passenger vessel boasts an array of onboard amenities designed to appeal to higher-net worth travelers, business executives and those seeking a unique venue for special events, from business retreats and corporate seminars to destination weddings. It will feature the world’s first “Magic Carpet,” an outdoor bar/lounge terrace that slides up and down the ship’s exterior, as well as a distinctive event space called Eden, featuring a sophisticated, modern-tropical vibe and sea breezes, and a private, two-story hot tub overlooking the rooftop pool deck. The Celebrity Edge also sets sail in December from Port Everglades and will offer 7-night Western and Eastern Caribbean cruises before repositioning to Europe in June 2019. 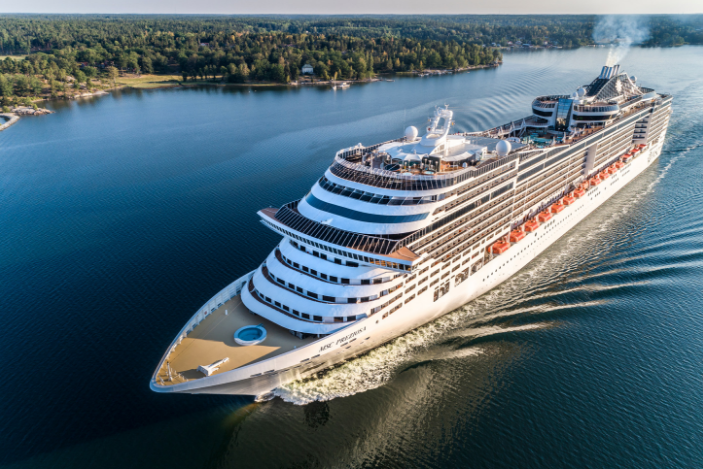 MSC Cruises’ MSC Bellissima: This vessel will be the Italian company’s largest to date and will boast space for 5,700 passengers. Expected itineraries include Mediterranean ports of call, with onboard experiences featuring Cirque du Soleil at Sea. Now that you know about some of the new ships and their amazing amenities, you can plan new excursions and ways to market and grow your tour operator business!